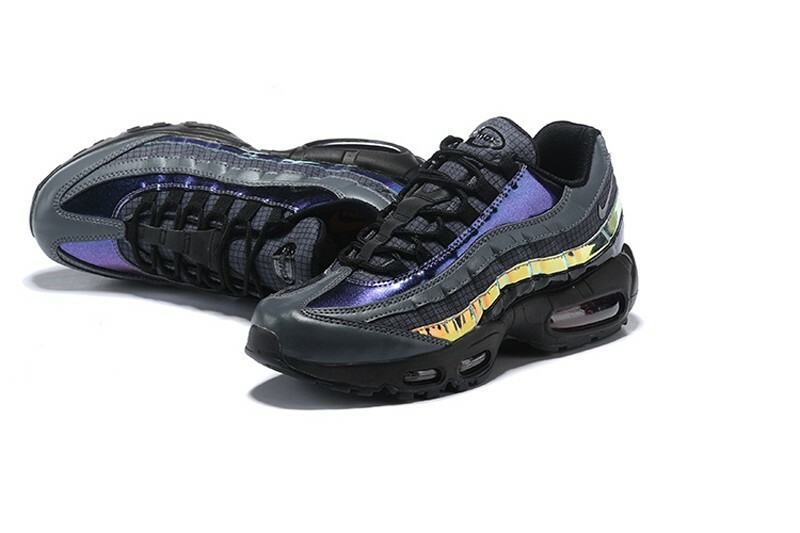 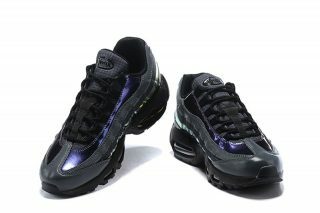 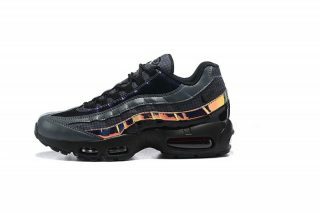 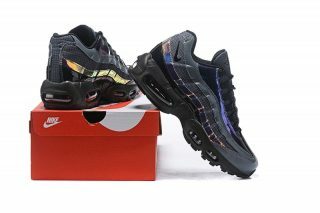 This Nike Air Max 95 comes dressed in a Black, Ember Glow, and Dark Grey color scheme. 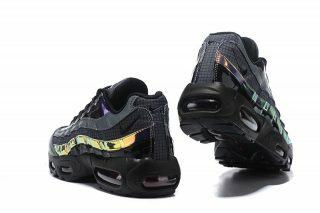 It features a grid-like pattern on the nylon upper with iridescent overlays on the panels. 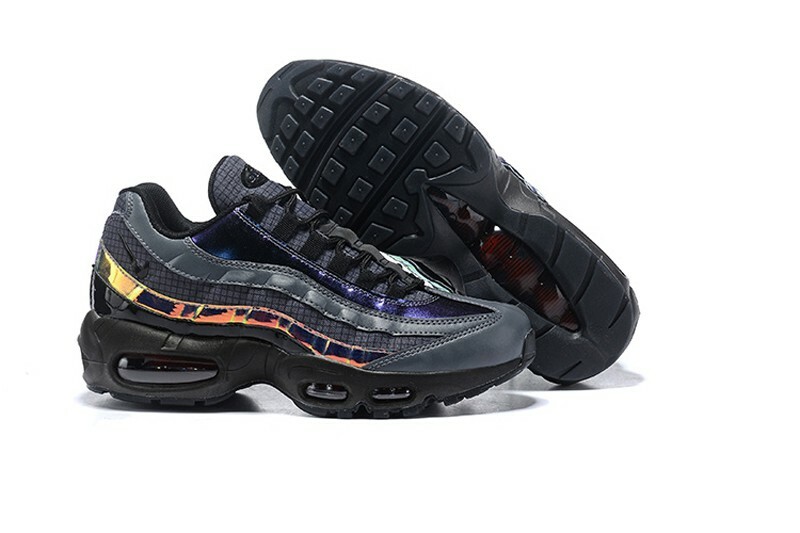 A Dark Grey leather toe with Ember Glow accents on the insoles and Air Max sole unit atop a Black rubber outsole completes the design.